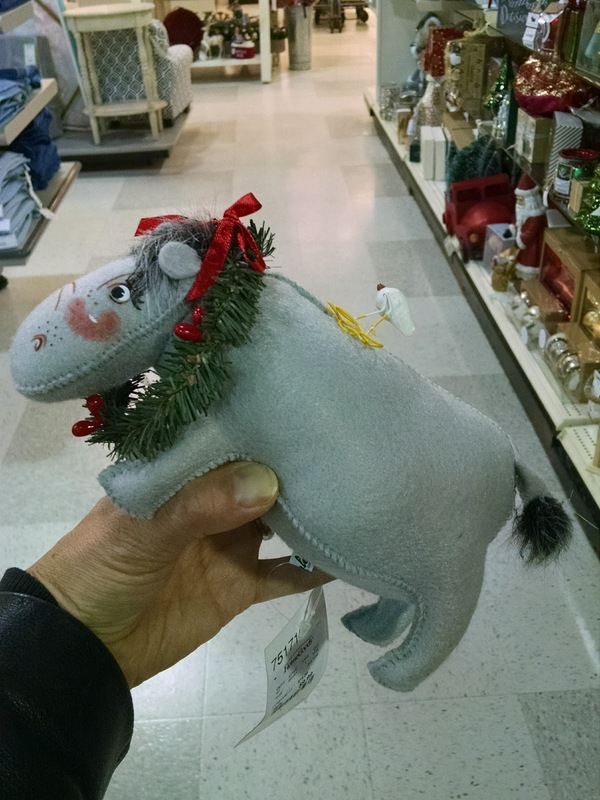 Ahhh...the Christmas Hippo. It's a little known fact that there was a 4th wise man, who was Not-So -Wise, and 3 days late to the birthday bash. He asked the Christmas Hippo for directions to Baby Jesuses crib. Unfortunately, the hippo smelled the gift the Not-So-Wise Man was bringing--which was weed. And everybody knows hippos dig weed. And when the Not-So-Wise-Man refused to share his stash the hippo ate him....and eventually smoked all the weed. We celebrate the Christmas Hippo because if it weren't for him, we'd be decorating our homes with ganja instead of poinsettia which a 5th wise man sent by FTD. Another little known Christmas fact by me....and TJ Maxx department store.